Usually when Apple launches a new product like their iPod, iPad or iPhone they go all out with their outdoor advertising, but for their new music subscription streaming service, Apple Music, they are sharing the skies with their existing Shot on iPhone 6 World Gallery ad campaign. 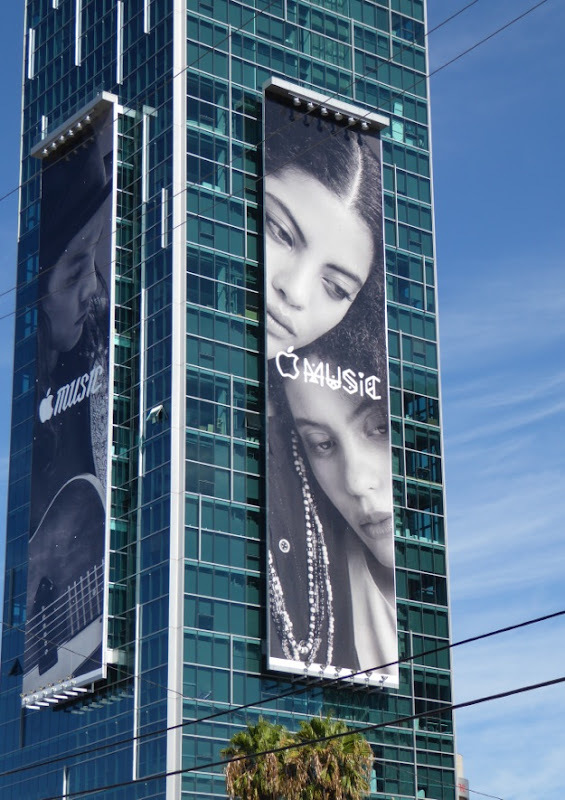 Once again their new campaign is a departure from what came before to help stand out, this time being in stylish black and white, but in this instance Daily Billboard feels that everyone featured in the ads look a little melancholy, sad or somber. Maybe they're pondering whether they should pay for this new streaming service or not, or just overwhelmed by the choice they suddenly have at their fingertips, direct to the device of their choice, wherever they may be. The way we consume and listen to music has changed so much in recent years. 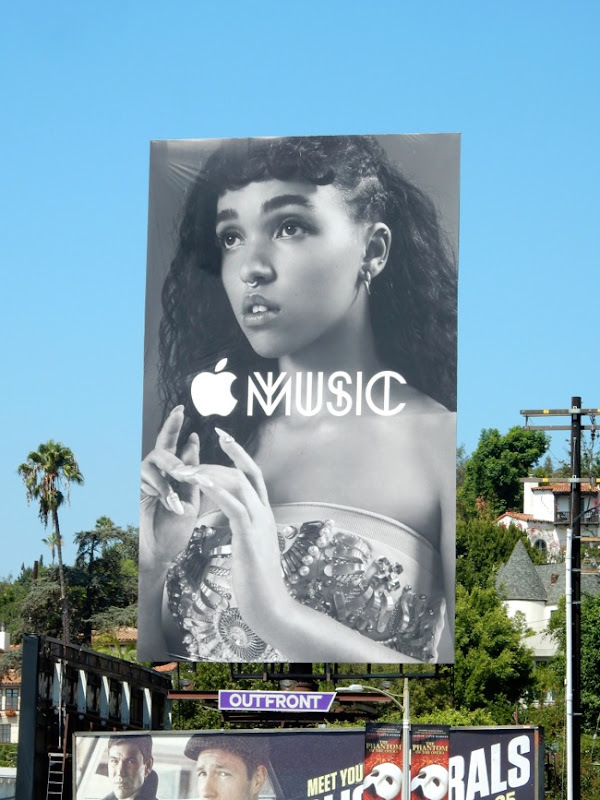 Now you can not only listen to all your iTunes playlist, but also the entire music catalogue, discovering new genres and artists, from your favourite mega superstars to new talent and indie artists like FKA Twigs featured in the campaign (although not surprisingly no Taylor Swift in sight). 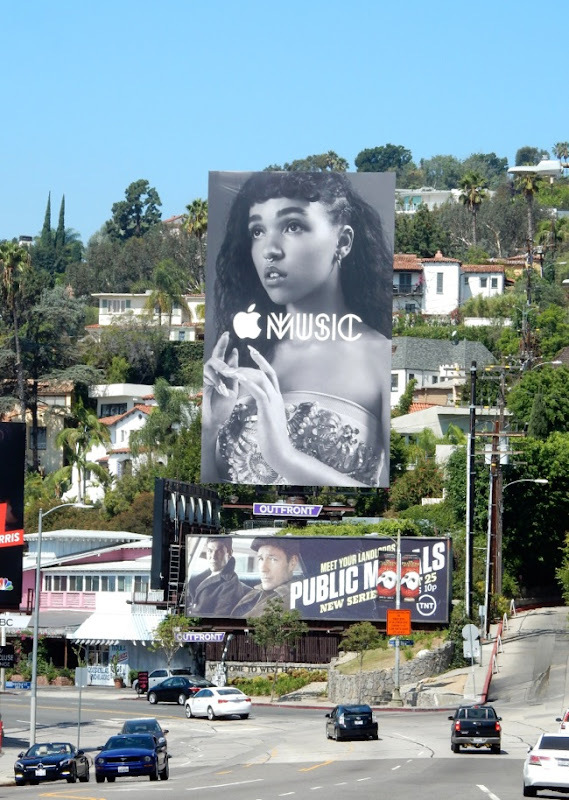 These new Apple Music billboards, which interestingly feature the Apple logo and word music in different font styles and typography to help highlight all your varying song choices, were snapped from August 8 to August 10, 2015 at Sunset & Vine in Hollywood, along Sunset Boulevard and Santa Monica Boulevard. 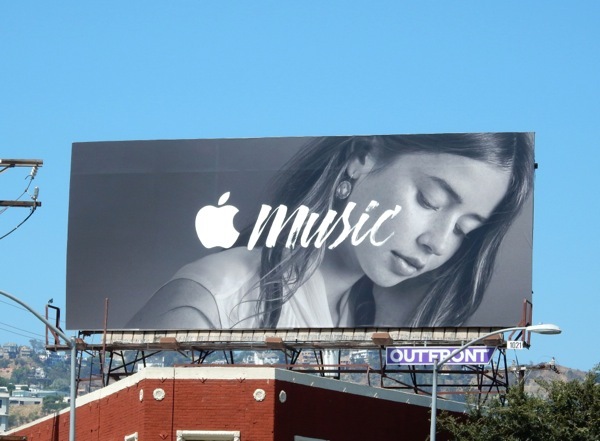 With this worthy campaign Apple have certainly gone down the artistic route, but have they lost the sense of fun and excitement that comes with discovering life-changing new music? 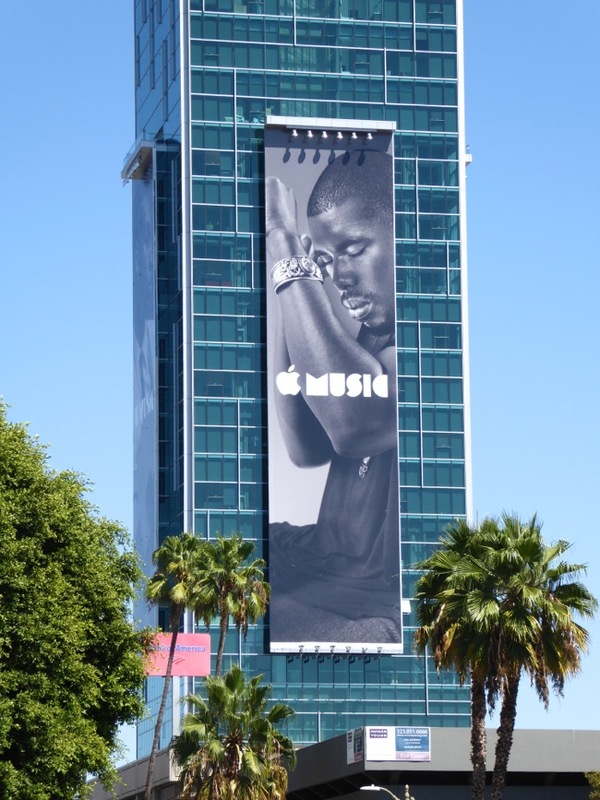 Yes, music makes you feel all kinds of emotion, but these creatives seem to be just one note. Where's the riot of colour and energy? Where's the passion, vitality and life? 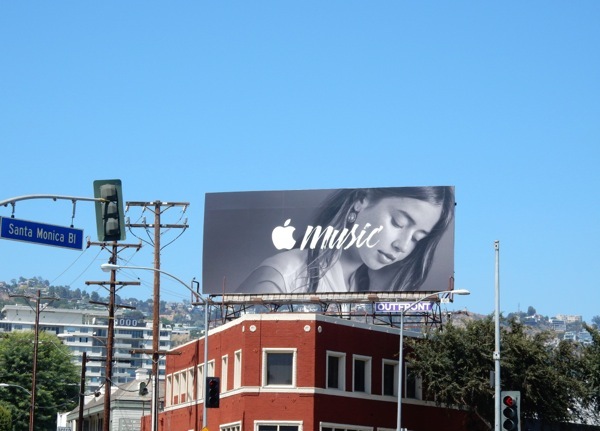 When Apple used their silhouette ad campaign to sell the iPod they really captured the dynamism and spirit of music in a very visual way, but these gloomy billboards seem to lack that excitement and enthusiasm for the world of music. 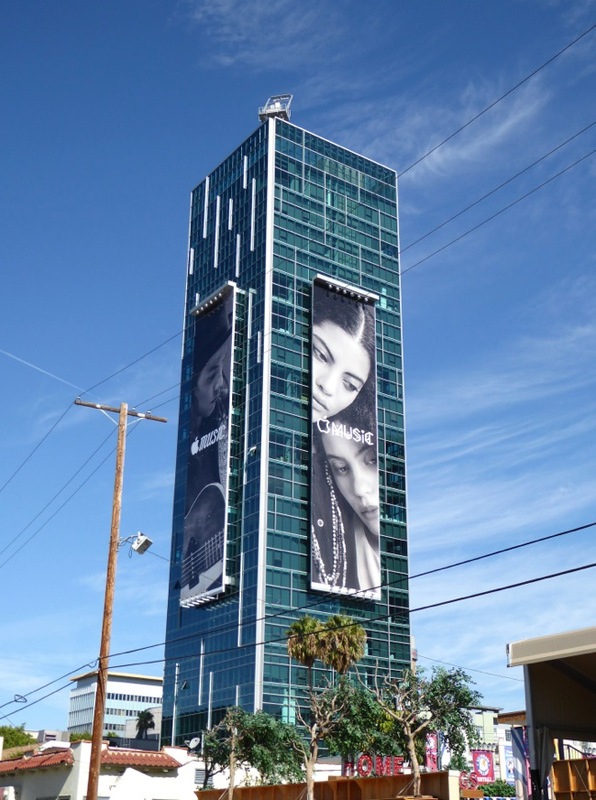 What do you think of this design choice? 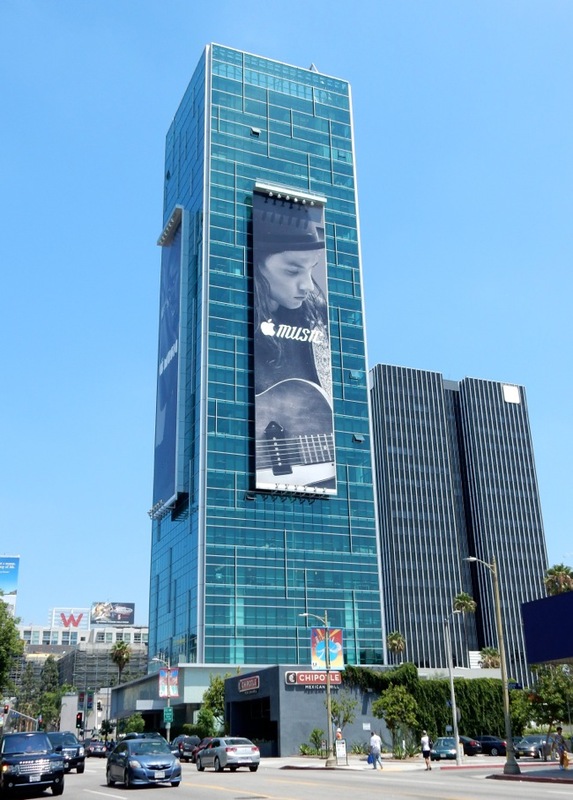 Do you prefer the colour and vibrancy of their iPad billboards and iPhone billboards, or do you think this is a bold, refreshing change of style. 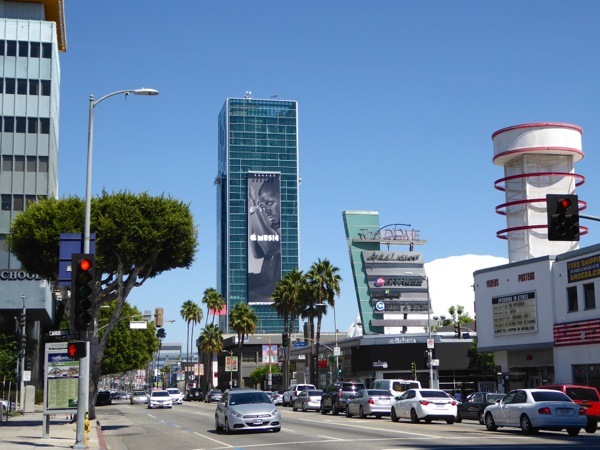 Is it enough to convince you to switch from Spotify, Google Play, Rdio, Pandora or the rest? 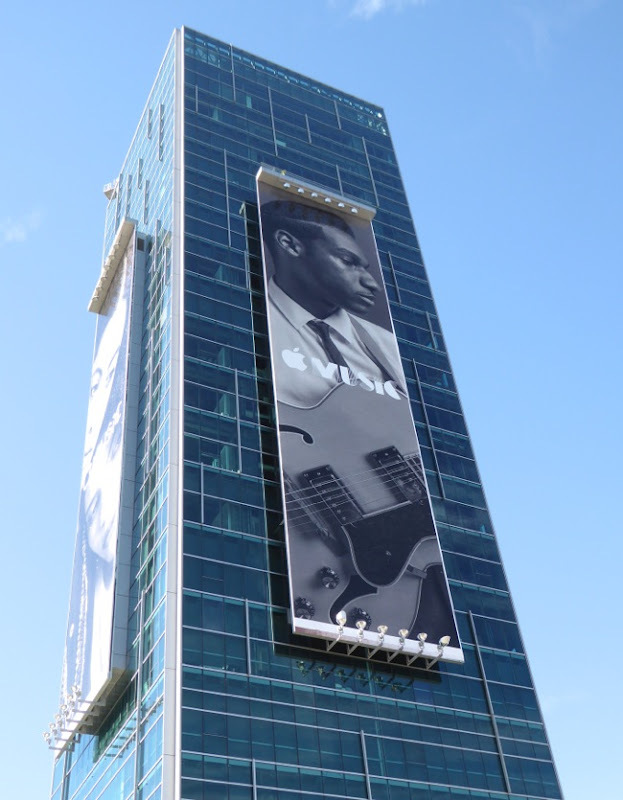 Do these outdoor ads make you feel the music (or the need to subscribe)?